cb550 rear sets in progress, brake lever rosette? 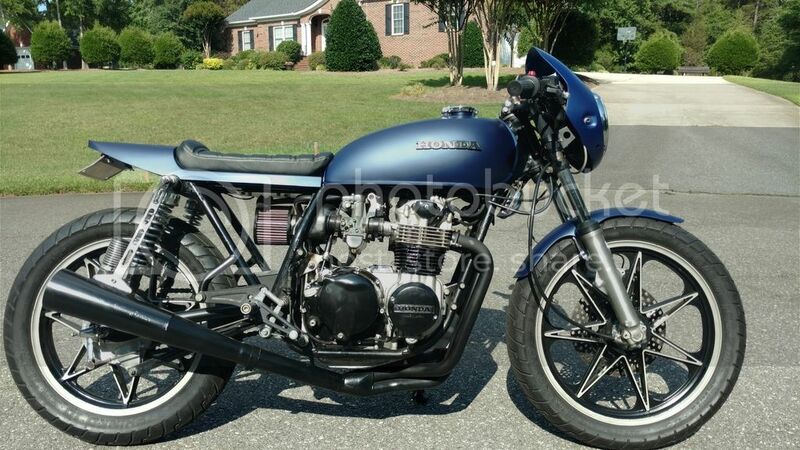 Topic: cb550 rear sets in progress, brake lever rosette? Hey folks. 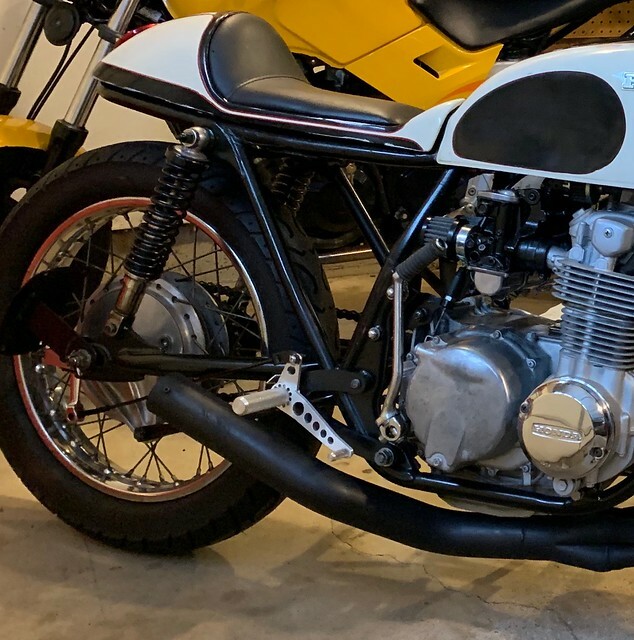 I'm building up a 76 cb550f brat, cafe thing. Working on installing rear sets. I've been searching and searching for how others have done their installs, and I'm stuck. How do you attach to the brake pivot without cutting up a brake lever? At this point I'm considering drilling a hole through the pivot arm to bolt a custom lever to it, so at least that's a reversible modification. 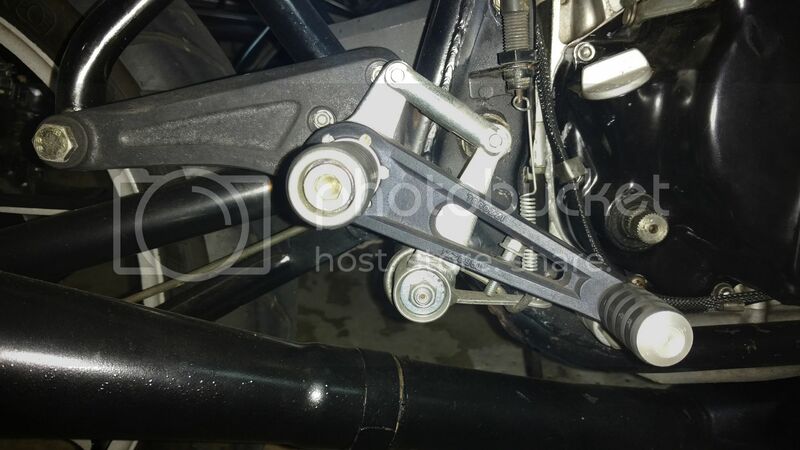 Re: cb550 rear sets in progress, brake lever rosette? That looks like a Tarozzi piece. You shouldn't have do drill through the pivot arm. Just make a linkage from your rear sets to the Cognito piece. These are Tarozzi, but the idea is the same. 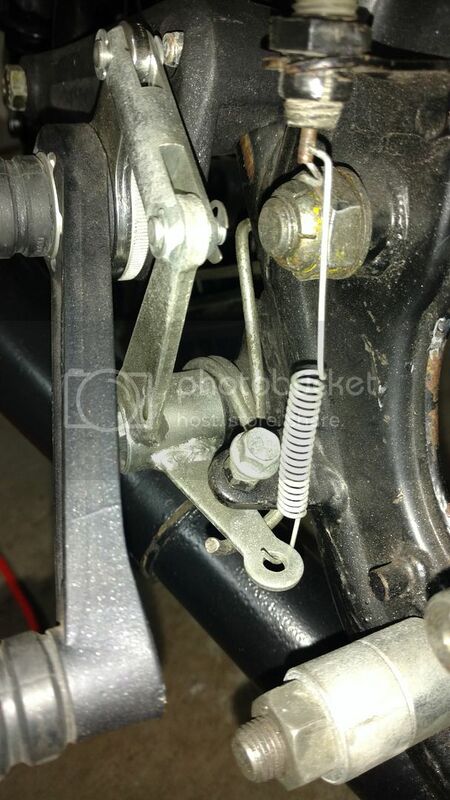 For homemade rear sets, I have seen people sacrifice the stock brake lever. Cut it and drill a hole through the lever, but not the splined pivot part. Nice bikes guys. Thanks for the tips. The problem with the F model is that the brake pivot tube on the frame is longer and sticks out alot further to clear the 4into1 exhaust which is tucked up higher very close to the frame. If you are using the rear passenger pegs as mounts it shouldn't be a problem and that part from cognito can probably be used. If you want to use their rearset brackets which are very popular you may have to cut the tube shorter and fit k model brake pivot. then figure out how to mount a different return spring. as the F model one will have too many turns. Maybe use a linear spring at the lever end instead. Bear in mind the the exhaust (F model 4into1) maybe too close to the rearset aswell and you wont get the angle you probably need. if you use an aftermarket exhaust that drops lower here though it can probably work. The F model is a real awkward one to work with for rearsets brackets unless you modify the frame and/or change exhaust. I've done a few mods on my frame and exhaust to allow for this in the future but when it comes to the time will probably still need to cut that pivot tube shorter.